Luma Slim Flush Mount - 14"
Other Size Options 18" 12"
The Luma Slim flush mount is created from beautiful glossy opal glass which has a unique clear edge effect and low profile pan. 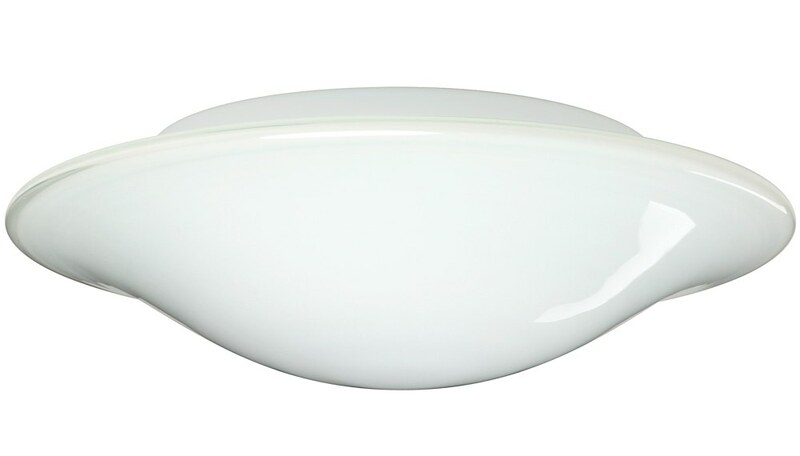 This ceiling flush mount light is perfect for bathrooms, hallways, or wherever a sleek light is needed. Standard lamping for 12" is (1) 60W incandescent bulb; 14" is (2) 60W incandescent bulb; for 18" is (3) x 60W incandescent bulbs, not included. Installs directly to a 4" octagonal outlet box, centered on fixture. Suitable for damp locations. Interior use only.